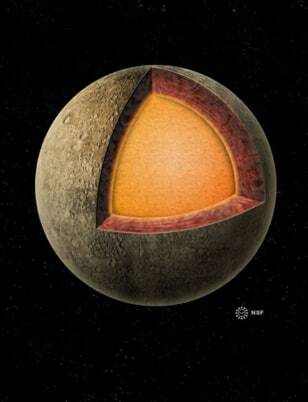 Diagram showing the interior structure of Mercury. The metallic core extends from the center to a large fraction of the planetary radius. Radar observations show that the core is at least partially molten.